eChinaArt.com: The exhibition you held for artist Dongdong Cai is clearly sensational, and indeed, these artworks merged themselves with social realities. Is this your main idea that emphasizes the relationship between art and society? Phil Cai: First of all, thank you for the kind words on the Cai Dongdong show. To me, all good art connects strongly to the human landscape. I’d even define contemporary art as the process of abstraction from our society whether it is a political movement or it is the artist’s worldview towards an event that happened forty years ago. What makes Cai’s work unique is that it seemingly only makes reference to a certain period of time in Chinese history. However it resonates strongly and differently with people from different backgrounds. eChinaArt.com: Phil, could you please briefly talk about the next promotion plan or market strategy for Mr. Dongdong Cai’s artworks? Phil Cai: We usually host an exhibition for every one of our represented artists every two years. This is industrial standard because two years is a reasonable time to revisit an artist’s market, style, development and etc. With some artists we would recommend strong evolution or development in style, but given Cai Dongdong’s situation we’d like to do so very gradually. His style is so unique among Chinese artists and we’d love him to keep doing what he’s been doing for some years before discussing drastic changes. He’s gaining importance both in the US and Europe. With more institutional recognition in the foreseeable future, I’d say Cai’s career is heading in a direction that fits him the most and we are excited about it. 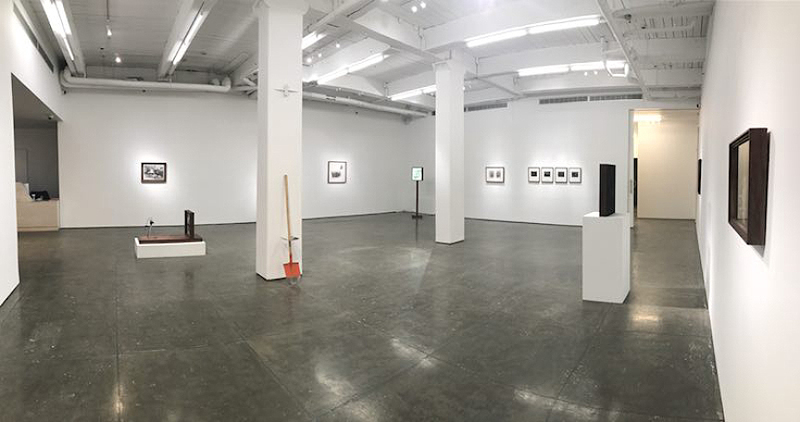 eChinaArt.com: As the manager of the Klein Sun Gallery-a gallery known for its support and focus on Chinese contemporary art, how would you posit Chinese contemporary art in the U.S.? Phil Cai: First, I think Chinese contemporary art is in its very beginning stage. Euro-American contemporary art is viewed as the majority in New York or the U.S. On the other side, Chinese contemporary art in the U.S. lacks a certain level of attention, collection, and museum recognition. In recent years, it has been rising, but it still takes a long time to grow. From a gallery's perspective, "Chinese contemporary art" underscores the element of being "Chinese." Most people visited our gallery just because it’s “China." Galleries make change according to market demands - there is nothing wrong with it - we select artists who carry "Chinese marks" or "Chinese labels." We keep this as a rule. But, also, as we've discussed before, what is more possible, is to switch our goals from seeking float-on-the-surface Chinese labels to more profound ones. For instance, in the past, a Chinese element could be the Tiananmen Square, the national flag or some sorts of media featuring China, but with thicker and broader understandings of Chinese contemporary art, a Chinese label would be Zhuangzi's thoughts or the influences of collectivism on Chinese society and decades of people. All considered this label will be crucial enough to relocate/redefine Chinese contemporary art for now and future. eChinaArt.com: Does the economic development in China match with its global market of contemporary art, considering speed-wise and size-wise? Phil Cai: Quantity-wise, it doesn't. China would possibly become the number one economy soon. Chinese traditional art or modern art has been ranked as the most trading volumes in the world for years. But speaking of Chinese contemporary art only, neither its trading volume nor attention weights a lot. But its growth rate stands for it, that its potential is enormous, and it will go farther than the country's economic growth. In the past few years, with the entries of some internationally famous auction houses into mainland China, many galleries and art companies realized the high potentials of Chinese contemporary art and entered Beijing or Shanghai one after another. eChinaArt.com: I know you have three-year work experience in a major auction house in New York before coming to Klein Sun, so if we say, taking New York as an example, has the market of Chinese contemporary art been established here? How would you describe the size of its collection market compared to that in the cities like Beijing or Shanghai? Phil Cai: In my opinion, the market of Chinese contemporary art has not yet been established. Let's just focus on contemporary art. Both Sotheby's and Christie's hold annual Asian week, and both have sale nights for Asian art, but that's all. The trading frequency of secondary market is a crucial index to measure the maturity of an art market, while Chinese contemporary art still means little on it. This fact also points out the essence of our gallery, that to expand the primary market of Chinese contemporary art, to increase the attention and in the meanwhile, and simultaneously, to uphold a secondary market platform for its trading. eChinaArt.com: The Market of Chinese art, especially the contemporary Chinese artworks is not very exciting compare with the past years, and someone suspected this may be the beginning of turmoil, even crash of the Chinese contemporary art era. Do you believe this kind of hypothesis? If not, could you be able to forecast the direction of the Chinese contemporary art market in the years to come? Phil Cai: Even though the contemporary art market is extremely hard to predict, I don’t think Chinese contemporary art will crash on its own drastically. Chinese contemporary art contains so so much and it holds so so much. There will be clearer and clearer categorization. To give an example, Lian Zhou museum is being established right as I write this interview who will specialize in photography. K 11 and Videotage have been hosting shows only to promote video art. Any specific categories might fall or take dips in the future and lots of them will, but Chinese contemporary art in general will not in my opinion. It will only gain importance as China opens up more and catches up with the West economically. To quote our artist Shen Shaomin who spoke at the newly founded Shen Zhen biennale: “John Adams said he must study Politics and War so my sons may have liberty to study Painting, Poetry mathematics and Philosophy. We did it. And we can now pursue arts with no regrets.” I completely agree with him and China’s time for art has come. eChinaArt.com: Does the Klein Sun Gallery have any motivation to expand their investment efforts inside China in the coming years? Phil Cai: Not in the near future. Each gallery has its own positioning. We are positioned here in New York as a unique promoter and dealer of Chinese contemporary art and we’d like to keep working as one for the near future. eChinaArt.com: Both your book and your exhibition were named as Quan (A Fountain). Could you briefly explain it? Cai Dongdong: This book contains a wide range of my photographic works throughout recent years. It was indeed very hard to come up with a symbolic name for all of the works as a collection, but I eventually decided to name it after one of my artwork, Quan, which also became the book's cover. Also, as I've just started to practice this kind of art, the name embraces a good wish for my future creation. eChinaArt.com: It seems like you prefer to scrub photo surfaces, reducing the resolutions, breaking the original status and sense of beauty of the photos. Would you explain to us what are the intentions behind such practice? Cai Dongdong: My original intention was to reuse/recycle the old objects. I have taken over ten thousand of photographs in the past decade, and I became aware of the ineffectiveness of these pictures in the digital era. I then started to destroy them, while the original method was to polish the photos till some parts disappear or to tear them apart. Then I found my interest through the actions of destroying, initiating art practice in such method. Indeed, the intention also fits well with my new understanding of images. eChinaArt.com: You see a photograph as a lie: to deceive the audience through "beautiful "images. Do you think all those masterpieces in photography's history are also lies? If so, what's that for? Cai Dongdong: Instead of using the "beautiful" or "aesthetically pleasing" as a strategy to bring audience's attention, I think it is the "reality" that comes out of photographs which deceives people. I remember in the early history of photography, one of photography’s inventors dressed up himself as a corpse and took a picture of it. A corpse is at the core of an image, but the intention behind this photo was not about the dead body but derived from the artist's confidence. So it's not a lie to me. eChinaArt.com: What you were saying is, if the audience appreciates the visual effects or artistic conceptions presented by a photographer, then they have stepped into a wrong path that misled by the photographer's lens. Then, why would these objects be considered as fake through the lens? Cai Dongdong: The American photographer Diane Arbus once said, "a photograph is a secret about a secret. The more it tells you, the less you know." All the photographers work for the joyful moments satisfied our eyes, such deception existed in photography might also see its charm. The objects in the lens are the objects in the photographer' eyes, featuring selectively from the photographer to the audience, or from the objects to the photographer. eChinaArt.com: How to make it happen if you don’t want to make images mislead the audience? Or how to make it happen to ask the audience to see something realistic? eChinaArt.com: After you've collected approximately fifty to sixty thousand of old photos relevant to China, do you think it is also a myth to consider this collection as a part of contemporary Chinese society and culture? How shall we confront the happened video art history? Cai Dongdong: I have been organizing them and regarding them as fragments of images, much less than real partial of social or cultural history. Many photographs from the 1960’s to 1980’s are fake–people smiled to the camera for they were asked to do so. On the other side, my intention is to reveal such fakeness. I hope the audience could see through the surfaces, and catch such reality, even just for a moment.